Getting a good IT job for freshers in this tough job market is really a big deal today. Let’s see how Govardhan managed to kick-start his career in the IT industry straight out of college. 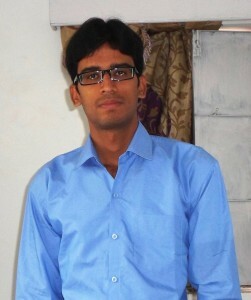 Govardhan: My name is Govardhan and I have completed my Engineering in 2014. My career goal is to get placed in an organization which recognize my skills and where I can play a key role in the company growth. Aspiring Minds: What difficulties did you face while searching for an IT job and how did you overcome those difficulties? 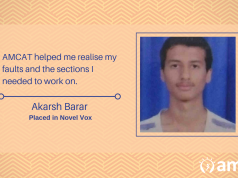 Govardhan: I utilized each and every opportunity that came to me, faced many rejections but I improved myself. 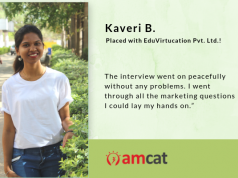 Aspiring Minds: Tell us about your experience post giving the AMCAT test and how AMCAT helped you in getting the job at Uber (Hyderabad)? Govardhan: I came to know about openings in Uber and also that Uber needed AMCAT qualified candidates. So, I took AMCAT and got shortlisted for Uber in my first attempt. Thanks team AMCAT. AMCAT is a wonderful platform to get into good companies. Govardhan: Yes. Even, if you have the talent you need a platform to prove that. 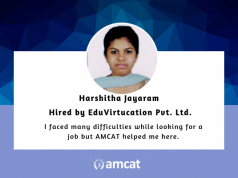 AMCAT is the platform where you can prove your skills and talent. Govardhan: You need to be confident and be hopeful. Have trust on you and don’t loose any opportunity.